Shortcut in English II: Why Eat Native Food? The focus then was on the value of regularly eating at the set times only. Eating in between the meals is one main reason for getting and staying fat. Fighting obesity is very important, but there is even more to the right way of eating. I have discovered one absolutely crucial particularity. If you understand it well and take from it what is self explaining good, it will change your life. We modern human beings mainly just sit around at work and at home. The practical work that most of us do is reduced to moving our fingers on the keypad and staring at monitors. But we eat loads of food as if it were still rare as it used to be in all history and as if we needed it. We do not realize that our body cells and our tissue system have most effective ways of storing not only energy carriers like fat and carbohydrates (sugars) but also all the many other life sustaining materials (vitamins, minerals, enzymes, amino acids and trace elements. Only Vitamin C is a substance that must be refilled every 14 calendar days. All the rest of these materials stay in the body for longer periods. Interestingly Vitamin B 12 that we are made to believe we must substitute every day has a storage time from 3 to 5 years! In comparison to former times the majority of people in the heavily civilized countries is rich, at least has enough to eat. Medicine helps well against many infections. A better hygiene prevents early child death. Nevertheless almost nobody today dies of old age anymore. As for our health and freedom of diseases most of us make it pretty well until we are grown up and have done our duty to reproduce our kind. But during that time already the fundament for a much poorer second half of our life is laid. Two reasons account for that. The first is very simple to understand. As we regularly eat more food than we need our body builds up huge reservoirs of fat cells, followed by the well known metabolic syndrome of overweight, obesity, diabetes, high blood pressure and cardiovascular diseases, ending in a demise long before our time. Somehow cancer also fits into that pattern. The second reason for a missing sound health for practically all of us will surprise you: In front of loaded eating tables, containing all food ingredients our bodies possibly can use, we are undernourished! We do not miss starch, sugar and fat, of course. Contrary to all false advice in favor of a protein rich diet our regular food is not short at all in amino acids, the main ingredients of protein structures. What then, will you ask, is missing in the end, when you like millions daily consume loads of vitamin pills and mineral tablets? 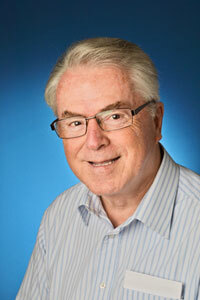 To begin with: the value of food extracts, especially isolated agents like vitamins and minerals, is not certain. In nature all these components grow in mutual reaction with others. It is well known that many positive effects do not occurr when you artificially seperate all delicate food ingredients from another. A important cue to the understanding of our malnutrition is the almost general mistreat of the indispensable intact protein bodies. I say on purpose: protein bodies and not proteins or amino acids. Biochemistry has discovered that there are four naturally set forms of proteins besides some superstructures like in collagens. When these structures are damaged by exposition to heat or too strong acids (denatured) they cannot well be recognized by the enzymes which only at so-called hot spots can start their cutting actions. Some amino acids are set free by denaturing processes, the lot is not. So if the goulash that you get in the cantina at lunchtime has been simmering a long time until you asked for it or if your steak or hamburger is „well done“, nothing really is well. In your meal were much more proteins than you need. Their consumption gave you a good feeling of satiety, too. But the needed amount of amino acids were not available for you. We must learn a little about how our body makes use of our food. Only when we understand that food ingredients are of no value for us at all when they are not metabolized in our intestine and travel through our blood and lymph system, we are able to avoid severe mistakes in our provisioning. Another cue to the understanding of the nutritional mistakes we almost all make every day is to realize that protein bodies do not only contain amino acids. When their structures are broken regularly by the enzymes other important material that is included is set free: vitamins, minerals, trace materials – and plenty of further enzymes! These additional enzymes are a great help in intensifying the process of metabolization in the minor intestine. You will understand the value of this when it comes to the process of the natural synthesis of the crucial neuro transmitter and key hormone Serotonin that amongst many delicate tasks also is the central controller of the drive to eat and drink. But before I go deeper into that matter I must say a word about our immune system. Our immune system is one of the greatest wonders in nature. When it is in natural order it protects us very well against most aggressions coming from bacteria, viruses, mushrooms and parasites. Most important in this complicated system is the provisioning with antibodies, which to 80 % are built up by the benign microflora in the minor intestine. This microflora consists of about 100 trillion single bacteria. Our modern way of eating leaves the major part of these bacteria in utter misery as they do not get fed at all with proteins resp. their amino acids. The reason for that deficiency is that in our feeding we practically rely on the functions of our stomach only. Whatever food we eat is stacked in our stomach. The pylorus then prevents that it can pass directly into the intestines. After having bathed the chime in its acid’s environment and having neutralized it afterwards the stomach starts a phantastic program. In heavy convulsions starting in the middle of the corpus of the stomach down via the pylorus and into the region of the duodenum every 3 minutes there are strong muscular convulsions. After 20 seconds of this work the stomach with a mighty push squirts a small mass of about 2 % of all the material in the stomach into the minor intestine. The rest is sent back into the middle of the stomach with a strong muscular kick. This process is repeated every 3 minutes until the stomach is empty. There is no room for strong digestive effects. Many experts claim that practically all metabolization in the minor intestine, that has a length of minim 3 and a maximum of 6 meters, is done on the first meter of the minor intestine. The lower parts, named jejenum and ileum, where the lot of the microflora lives, allegedly is not engaged in it. This statement, although just comes from the observation of what happens when the food first is handled in the stomach! But what is when our food is well mechanically broken and enters the body together with sufficient fluids while the stomach is slackened as it is empty? In that case there is still nothing to do for the stomach. It does not even bloat an inch and also does not secrete any acids. The pylorus that in reality is not a final constrictor but a relaxed valve when confronted with fluids only lets everything of fluid state directly pass into the intestine. Food particles with a diameter of no more than 3 Millimeters also pass freely. So, when you incorporate your food without employing your stomach, the fluids can amply run through all the minor intestine and nourish your body and your microflora in the minor intestine, too! We all are used do drink fruit juices that naturally run through all the minor intestine, too. They although are no solution for the problem of the common over reigning command of the stomach, as fruits contain very few proteins. Bananas are richest in proteins, but the concentration is only 1,5 %. So you must get other sources for protein. The best I found are non glutinous grains like amaranth and quinoa that contain up to 14 % proteins. In knowledge of these circumstances it is no wonder that practically all people (like me) who regularly eat (or drink) native food onto an empty stomach for years and years never even catch a cold! Finally I come to talk about the most remarkable effects of the consumption of native food. The execution of the process is the easiest thing in the world. But you must use appropriate plant food that in the core is raw and therefore full of plant enzymes. It also must contain a minimum amount of non-denatured protein bodies. When such food together with a minimum of fluids enters the empty stomach it causes a very strong and rapid metabolization. As our body registers this event and communicates it to the eat control center in the hypothalamus of our brain a chemical drive (chemotaxis) installs itself in our brain asking for all the building bricks for the synthesis of the eat control hormone Serotonin to be transported to the glands in the brain stem, where the buildup takes place. 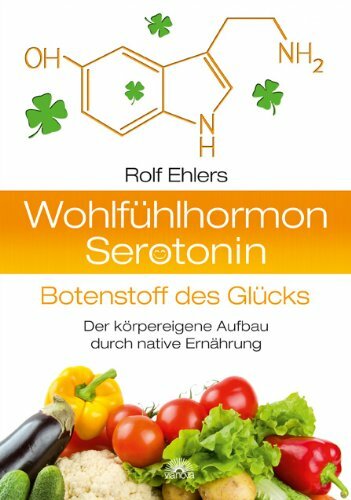 Serotonin, the hormone of the nineties, only discovered in 1948, but the first of all hormones ever to have been developed by nature and the most important of them all, has such widespread and intense effects on body and mind, that it is worth to write more than the two books that I have written about it so far („Wohlfühlhormon Serotonin“, Via Nova, 2012; Essenspausen, Via Nova, 2012). There are loads of valuable informations already to be found in Wikipedia. Erstellt am Donnerstag 25. Juli 2013 um 18:17	und abgelegt unter Allgemein. Kommentare zu diesen Eintrag im RSS 2.0 Feed. Kommentare sind derzeit geschlossen, aber sie können einen Trackback auf ihrer Seite einrichten.